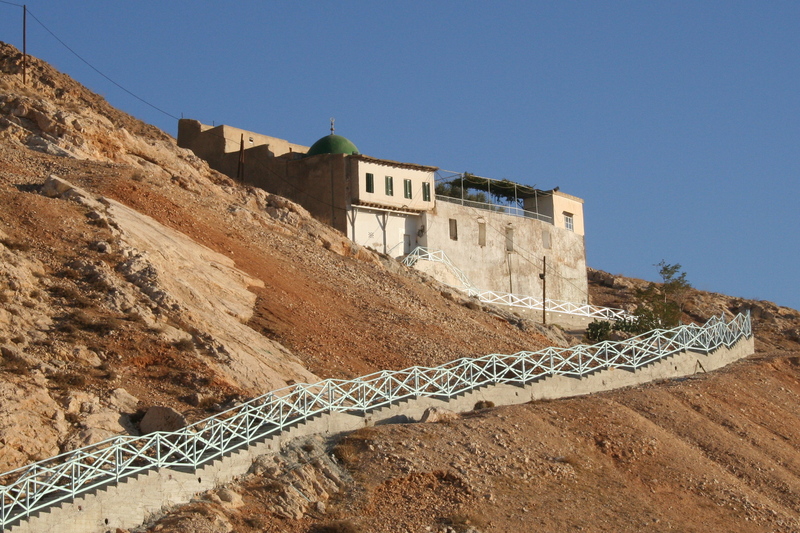 Maqam al-Arba’in is a shrine on Jabal Qasiyun built on the site where the Biblican and Koranic murder of Abel son of Adam by his brother Cain is believed to have taken place. 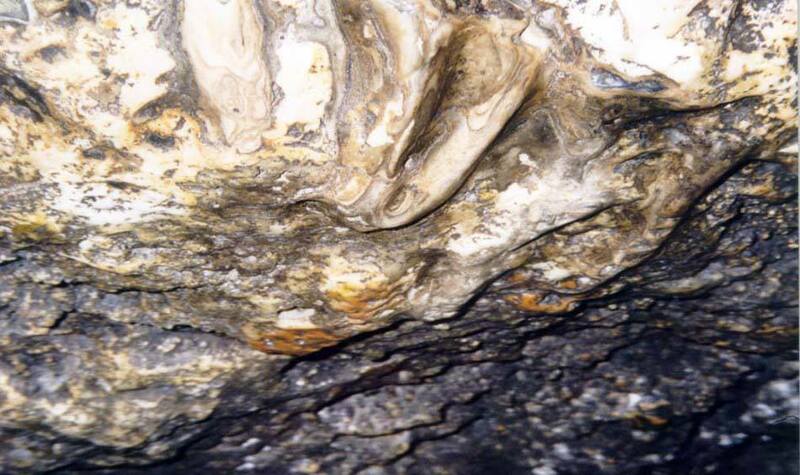 Within the cave is an image of a mouth in the rock, said to have been formed when the cave cried out at the awful deed. 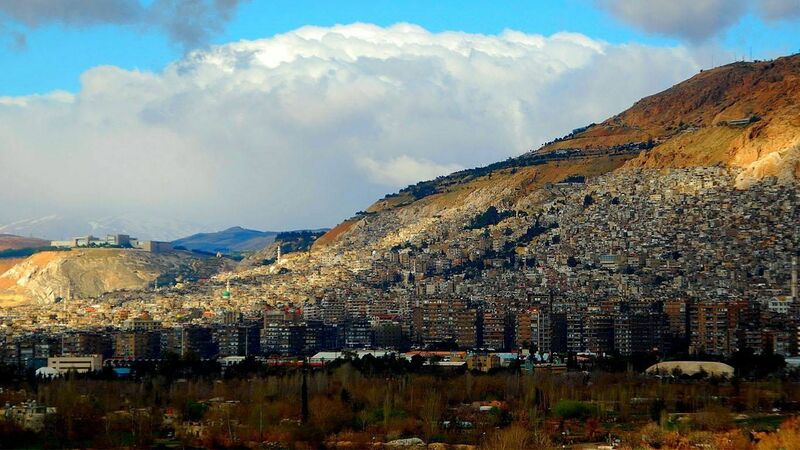 Next to this is a small shaft into the mouth of the mountain which is believed to be, according to local tradition, the place from which the spirit of Damascus’ 40 saints descends every night and ascends with the break of dawn. The mihrabs (prayer niches) on the upper floor of the shrine are believed to be where the 40 saints pray the night vigil prayers every night. 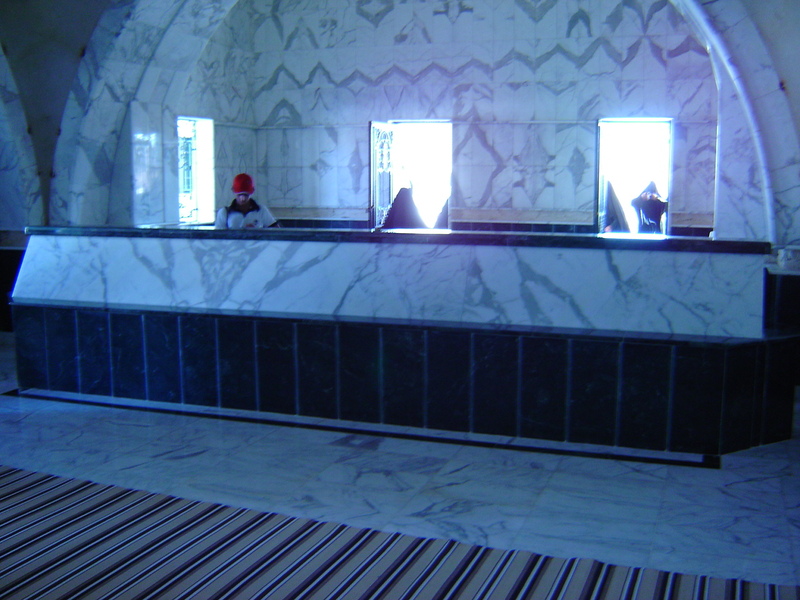 Two other sacred mihrabs are located on the lower level of the shrine and are believed to be the spots at which Abraham and Al-Khidr prayed respectively during their flight through Damascus. Al-Khidr is a mythical Islamic figure whose identity remained undisclosed, but whose relationship to Moses and his unquestionable divine wisdom is mentioned in the Koran’s famous Surat Al-Kahf. The caretaker then gave us the tour; according to legend, when Cain killed Abel, the mountain gasped in shock and began to crumble. The caretaker pointed out the ‘mouth of the mountain’, a gaping cavern with a rock shaped and positioned like a tongue, as well as the place where the Angel Gabriel put his hand in the roof of the cave to stop the mountain falling. Nearby is the stone with which Cain killed Abel and a stone basin where the mountain’s ‘tears’ are still gathered. On the slopes of Jabal Qasiun is a cave steeped in legend. It is said to have been inhabited at one point by the first human-being, Adam; and there are various stories told about Ibrāhīm (Abraham), and ‘Īsā (Jesus) also having prayed in it. It is mentioned however in Medieval Arab history books as having been the place where Qābīl (Cain) killed Hābīl (Abel).] It was known for hundreds of years as a place where prayers were immediately accepted, and especially in times of drought rulers of Damascus would climb to the cave and pray for rain. Because of the murder that took place there, claimed to be the first committed, it is called Maghārat al-Dam (the Cave of Blood). 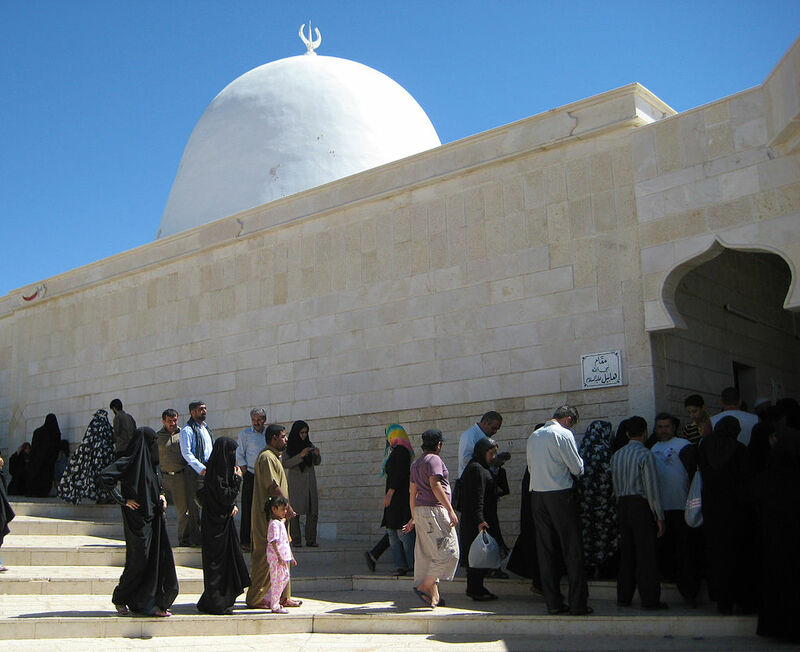 According to Sunni Muslims, Mount Qasioun is the site of the miḥrābs (prayer niches) of the 40 arch-saints, known as the Abdāl, who are said to pray the night vigil prayers every night. 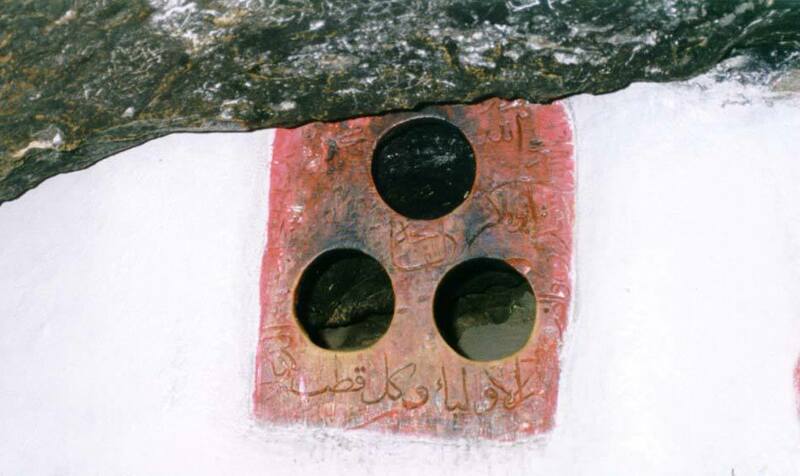 A small mosque has been built over the Cave of Blood containing these miḥrābs. 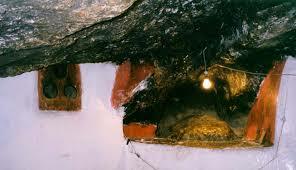 Further down the mountain from the ‘Cave of Blood’, there was another cave known as Maghārat al-Jūˁ (the Cave of Hunger). Stories about this cave are somewhat confused. Some say that forty saints died there of hunger; al-Harawī, however, who lived in the 13th century, writes that it is said that forty prophets died there of hunger.] 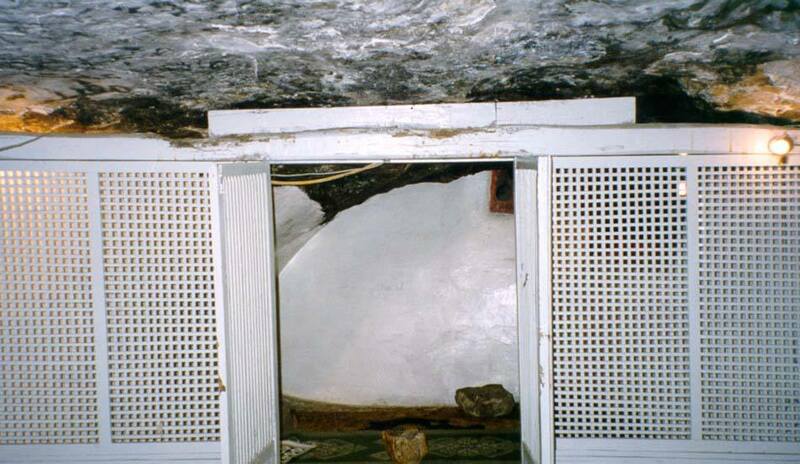 At present, the cave has been concealed by surrounding houses, but that spot is called al-Juyūˁīyah (Roughly ‘the Place of the Hungry’). On another flank of the same mountain is yet another cave, which has come down in local legend as being the cave of the Seven Sleepers, mentioned in early Christian sources, as well as in the Quran,] where they are known as the Aṣḥāb al-Kahf (Companions of the Cave). This is rather dubious, however, and it is only one of many caves in this part of the world that share the claim. 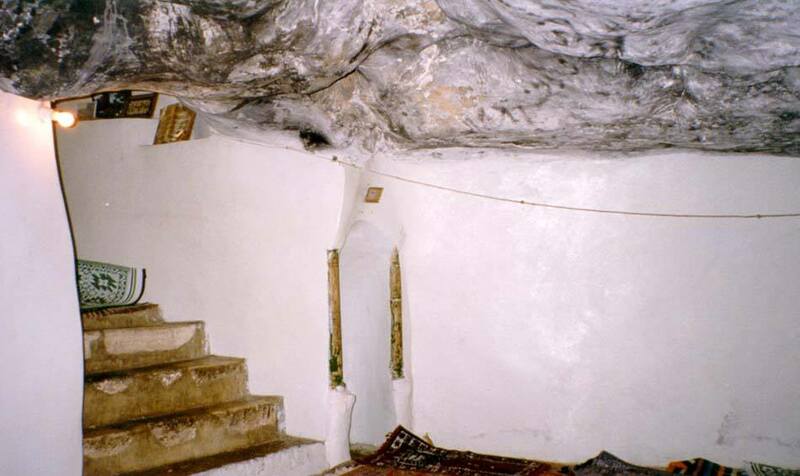 A madrassah has been built over the cave, but pilgrims are still granted access. MAKAM ARABA’EEN ENTERENCE TO THE MAKAM…. 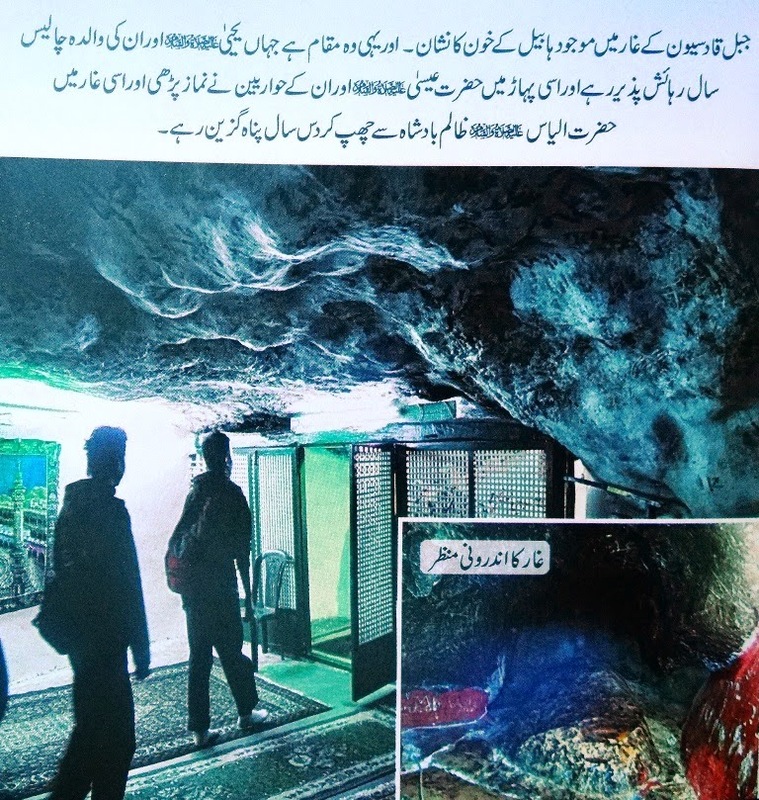 ON THE RIGHT IS WERE THE MUDER TOOK PLACE AND ON THE LEFT ARE 3 HOLES WERE THE ABDALS COME FROM IN SPIRTUAL FROM TO PRAY…..
MAKAM JABAL QASIUM FINGER PRINT OF THE ANGEL HAZRAT JBRAEEL ALAIHE SALAM. 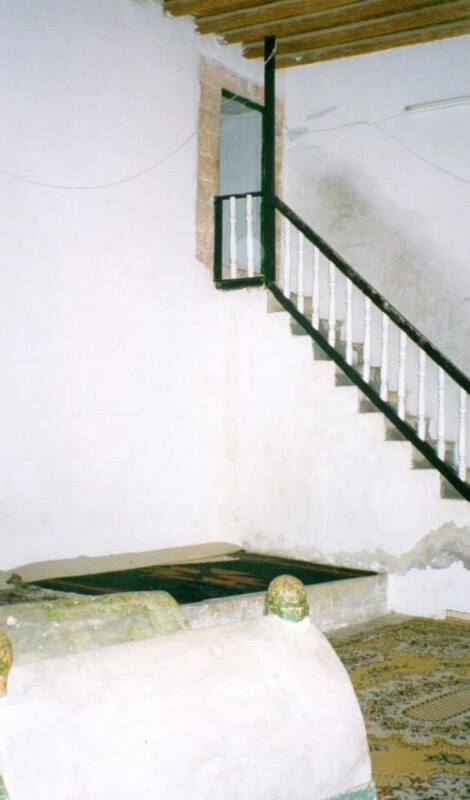 MAKAM ARABAEEN FIRST MUDER TOOK PLACE OF HAZRAT HABEEL ALAIHE SALAM THIS IS THREE HOLS WERE 40 ABDALS COME AT MAGHRIB TO PRAY…. 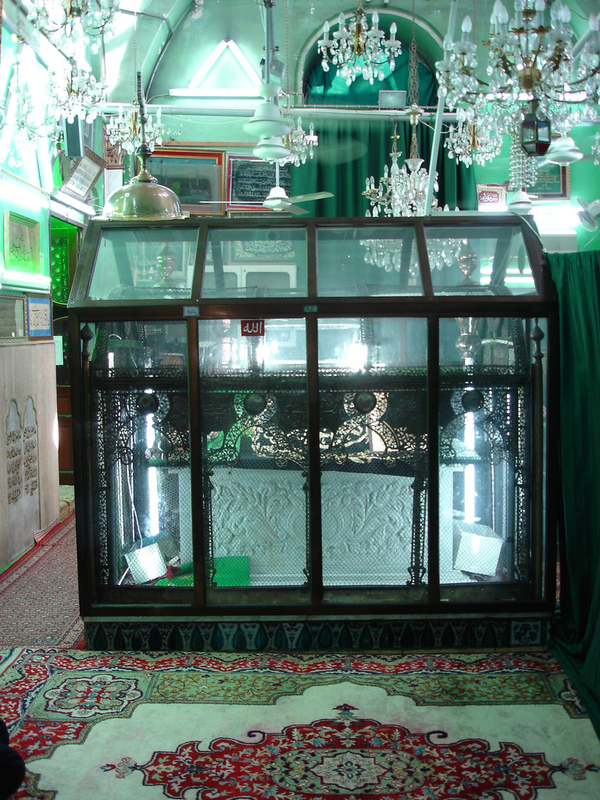 THIS TO NICHES ONE ONE THE LEFT AND ONE ON THE RIGHT WERE PROPHET HAZRAT IBRAHIM ALAIHE SALAM AND PROPHET HAZRAT KHIZER ALAIHE SALAM PRAYED THOSE THE QIBLAHS WERE MADE….. This Suhbah explains the blessings of Damascus (in Syria), also known as Sham. There is a mountain there called Jabbal Qasiyun, on which Maulana’s house is located. 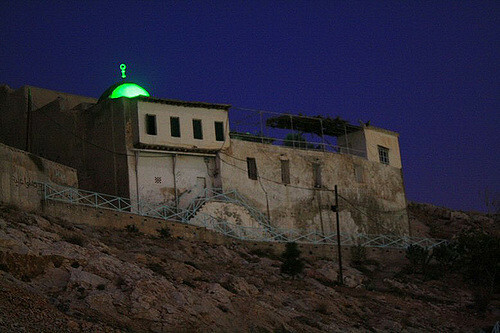 GrandShaykh’s (qs) Maqam and Mosque are but a few metres from Maulana’s blessed house on the mountain. What are the virtues of Jabbal Qasiyun? Maulana said that if he talked about that mountain’s virtues for 40 days, he would still be unable to finish describing it. It is a glorious mountain, and light (nur) falls on it constantly. On a dark night, one can see the mountain shining and glowing. 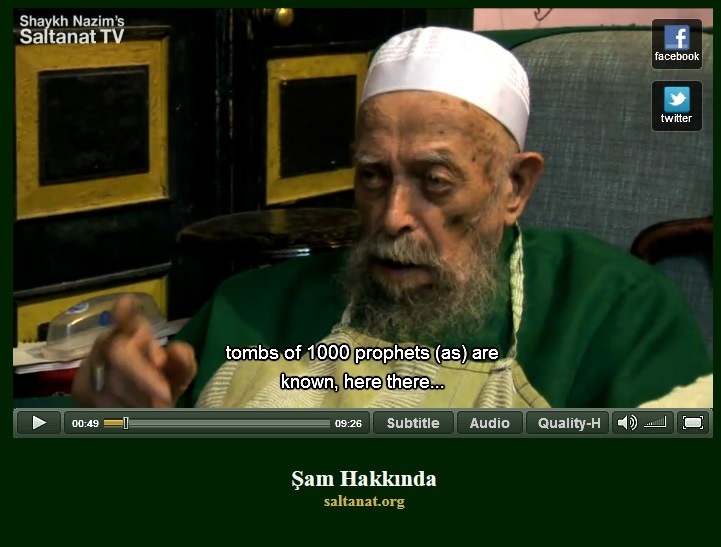 GrandShaykh (qs) explained that Allah had sent 124000 Prophets. 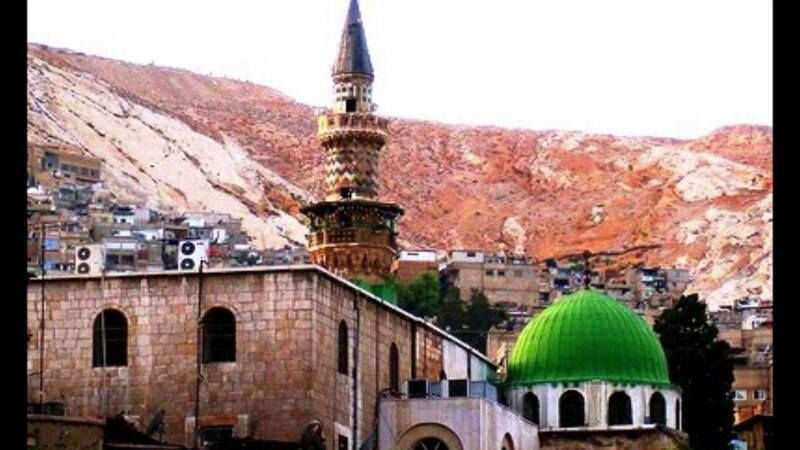 The tombs of 1000 of them are found around the world, but the holy bodies of the remaining 123000 prophets are inside that mountain; therefore mercy falls on it continuously! In the olden days, pious ones used to walk barefoot there as a sign of respect. 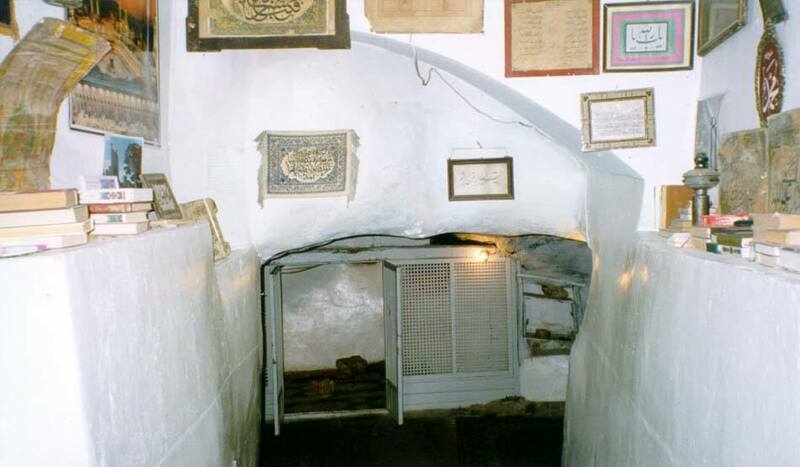 Ibn Arabi’s (as) tomb is also there, it is such a blessed tomb! GrandShaykh (qs) said that the terrible earthquakes of the Day of Resurrection, which will crush all mountains and toss them around like cotton, will not touch Jabbal Qasiyun. The Day of Judgement will take place in Sham, and this mountain will not be moved from its place; instead, a manifestation will fall upon this mountain, and it will be moved to Paradise without being touched. Maulana said that all his children were born in Sham, and there is a – light on all their faces, and he prayed that Allah made their lives long, with barakah. (Ameen!) Maulana said that he missed Sham dearly, but there was a wisdom in why he was not there, and was instead located in Cyprus. He prayed that Allah not cut him off from Sham, and he asked Allah that he never be away from such Holy Places. This is the holy month of Zulhijjah, new manifestations have begun, and Muharram will bring more clues as to what awaits the Nation of the beloved. Maulana prayed for Allah to strengthen our beliefs, and to fill our hearts with the love of prophets and saints, for whoever has no love for prophets and saints, their hearts are empty, they have no light. Armageddon will start and end in Sham. So many people will gather there at that time that, says Ibn Arabi (q), “If you drop this cap, it will fall on people and it won’t fall on the ground.”� When the Prophet (saw) was asked, “How will they survive at that time, how will such a crowd be fed?”� The Prophet (saw) replied, “With the takbir of Mahdi (as), to eat one drop of food, is like to have eaten an entire lamb.” Therefore pray that our fate won’t be cut off from Sham! Concluding this short Suhbah, Maulana lamented the fact that Scholars with book knowledge (but devoid of knowledge of taste), cannot elevate their followers’ belief/faith, as their words are all ‘plastic’. (See this earlier Suhbah on ‘plastic’ words). Plastic apples, bananas, grapes and oranges appear to resemble the actual fruits externally, but when you take a bite, it is tasteless and it has no nutritional value. Those who claim to be Scholars nowadays, present ‘plastic’ words to people – words that have no nutritional value or benefit to the Soul. They can not give from inside (their hearts), as their own hearts have no real understanding of what they speak of. Only one who possesses, may give. He who cannot speak from the heart, speaks only from his tongue. Such words, reaches only the ears of listeners, but cannot penetrate the hearts of attenders. Only words from the heart, may piece another heart.